The cars have virtually ‘driven’ more than 6.4 million kilometres inside the simulation, which recreates California’s road system. GOOGLE ISN’T JUST testing its self-driving cars on the roads, but also on a matrix-style digital simulator before they’re sent out into the real world. According to The Guardian, the company’s cars have ‘driven’ more than 6.4 million kilometres inside a digital simulation it built. In the real world, its cars were said to have driven 1.12 million kilometres over a road system that’s roughly 3,200 kilometres long. The simulation has mapped the entirety of California’s road system and has been used for testing, encountering real-life challenges such as bad drivers, cyclists and pedestrians. With that data, Google has encoded how various situations would unfold and how road users are likely to behave. The company is convinced that the virtual simulation is so realistic that it’s petitioned California’s government earlier this year, in a letter obtained by The Guardian, to use it in place of actual driving tests when certifying a vehicle for use. Under current regulations, automated vehicles must be tested under “controlled conditions” that mimics real-world driving as closely as possible. The company also lobbied for a change in how the regulations are worded to allow digital models, but this was turned down. Recently, Google has decided to temporarily give its self-driving cars a steering wheel and pedals so it meets new regulatory requirements. The new rules from California’s Department of Motor Vehicles states that a driver must be able to take “immediate physical control” of a vehicle on public roads if needed. Google’s self-driving cars use a combination of onboard computers, mapping, laser guidance and object recognition to navigate roads. Email “Google tests its self-driving cars in a 'Matrix-style' virtual simulation”. 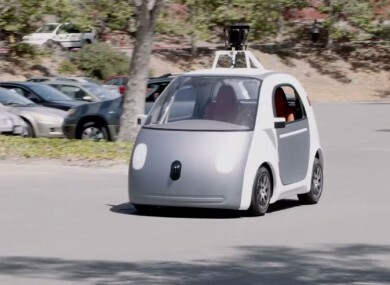 Feedback on “Google tests its self-driving cars in a 'Matrix-style' virtual simulation”.